First-class in M. Sc. (Physics), Qualified in NET/GATE or any National level Examinations conducted by CSIR-UGC or MHRD for Ph.D Admission. (i) Good academic record. (ii) Experience of research work in the relevant field. Interested candidates are advised to send their curriculum vitae giving full particulars of Educational Qualifications, Experience, Publications, Research Interests etc. to Prof. Ajit K. Meikap, by e-mail ajit.meikap@phy.nitdgp.ac.in) by 13 th May 2019. 1. The above position is purely temporary, and is for a period of Three (03) years/Date of termination of the project. Selected candidates will not be entitled to claim for regular appointments/absorption in thisinstitute. 2. The continuation of the fellowship is subject to satisfactory performance and review at the end of each year. 3. No TA/DA will be paid for attending the interview. 4. Applications reaching after specified time may not ordinarily be entertained. 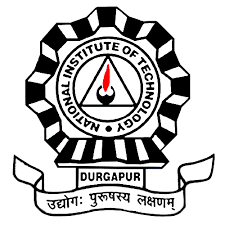 Junior Research Fellow Vacancy – Last Date 13 May 2019 (Durgapur, West Bengal), National Institute of Technology Durgapur (NIT Durgapur) recruits Junior Research Fellow Post. Candidates with M. Sc., NET/GATE Qualified experienced can apply. 1. The position is purely contractual, and for a period of one year and may be extendable. Selected candidate will not be entitled to claim for regular appointment/absorption in this institute. 2. No TA/DA will be paid for attending the interview. 3. Candidates may appear for walk-in-interview with bio-data, reprints of publications, reports, passport size photograph, original certificates and attested photocopies of all certificates. 4. Candidates reaching after specified time may not be entertained. 5. Canvassing in any form will disqualify the candidature. Research Scientist Vacancy – Last Date (Interview) 22 April 2019 (Durgapur, West Bengal), National Institute of Technology Durgapur (NIT Durgapur) recruits Research Scientist Post. Candidates with PhD experienced can apply. Interested candidates are advised to send their curriculum vitae giving full particulars of their Educational Qualifications along with attested copies of mark sheets and certificates, experience, publications, research interests and recommendation letter from last project guide to the undersigned by post. A copy of the curriculum vitae (excluding the other relevant particulars) may also be sent via email. Candidates should also mention the names and contact addresses (including email ID) of two referees who have known the candidates academically and professionally out of which at least one of the referees must be from candidate’s latest affiliating institute. 1. The applications will be screened and only short-listed candidates will be called for interview via email. No regular mail will be sent. 2. The above position is purely temporary, and performance will be evaluated every six months. Selected candidates will not be entitled to claim for regular appointments in this Institution. 3. Candidates called for interview should bring all the original mark-sheets, certificates etc. 4. No TA/DA will be paid for attending the interview. 5. Canvassing in any form will disqualify the candidature. Junior Research Fellow Vacancy – Last Date 21 April 2019 (Durgapur, West Bengal), National Institute of Technology Durgapur (NIT Durgapur) recruits Junior Research Fellow Post. Candidates with M.E./M.Tech., B.Tech., GATE score experienced can apply. M.Sc./M.Tech in Biotechnology/Microbiology/ Biochemistry or an allied area with at least 60% marks. Candidates should have a NET/GATE qualification. Research experience in microbiology will be preferable. Fellowship will be @ Rs. 25,000/- p.m. + HRA, if admissible Fellowship is available approximately for a maximum period of 3 years. Interested and eligible candidates may appear in person directly before the Selection Committee with a typed and signed application, referring advertisement No. on the envelope, with complete curriculum vitae including e-mail ID, phone number and details of qualification i.e. examination passed, year, division, percentage of marks from Secondary onwards, research credentials, if any along with attested copies of relevant documents addressed to the Principal Investigator (Non-NER), DBTTwinning Project, Department of Biotechnology, NIT, Durgapur - 713209. 1. The position is purely contractual, and is for the duration of the project only. Selected candidates will not be entitled to claim any regular appointments/absorption in this institute. 2. No TA/DA will be paid for attending the interview. 3. Candidates called for interview should come with original mark-sheets, certificates etc. 4. Canvassing in any form will disqualify the candidature. 11:00 a.m. on 5th April, 2019. Junior Research Fellow Vacancy – Last Date (Interview) 05 April 2019 (Durgapur, West Bengal), National Institute of Technology Durgapur (NIT Durgapur) recruits Junior Research Fellow Post. Candidates with M.Sc./M.Tech., NET/GATE qualified experienced can apply.